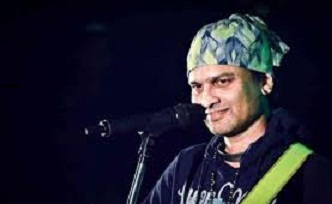 Police have registered a case against singer Zubeen Garg for allegedly making derogatory remarks on country’s highest civilian award Bharat Ratna. Based on a complaint filed by the vice president of Assam Kisan Morcha, Satya Ranjan Borah at Lanka police station against Zubeen for his alleged derogatory remarks on the country’s highest civilian award, police registered the case (no 35/2019) on Saturday under sections 294, 500 , 506 of the IPC and 67 of the IT Act. Kishan Morcha is affiliated to BJP. Zubeen’s purported remarks came after BJP government announced Bharat Ratna award for music maestro Bhupen Hazarika on Friday on the eve of Republic Day celebrations. In a purported audio of Zubeen, which has gone viral on digital space, the singer is heard as making derogatory remarks on Bharat Ratna. Zubeen, who has been strongly opposing the Citizenship (Amendment) Bill, on January 17, on the death anniversary of Rupkonwar Jyoti Prasad Agarwala, launched an agitation in Tezpur demanding scrapping of the controversial Bill. Singers, dancers, musicians, students as well as local residents gathered together in Tezpur to oppose the Citizenship Bill. Earlier this month, Zubeen wrote a harsh open letter to CM Sarbananda Sonowal asking him to take a stand against the ruling BJP government at the Centre, which is pushing the Bill. He has also released a new song, “Politics nokoriba bandhu(Don’t play politics, my friend)” composed specifically to describe the BJP’s political agenda with regard to the Citizenship Bill.